Nothing says "party" like a confetti cupcake, and while these are perfect for a party there is nothing stopping you creating them for any special occasion... for example - a Tuesday night :) At just 3 syns for a decent sized cupcake, we can enjoy a few with a cuppa and still have syns left over for the day. Separate eggs and leave the whites aside. Mix the egg yolks, vanilla essence, muller light and sweetener. Pour the mixture gently into the liners and pop in the oven for about 20-25 minutes. Decorate the cupcakes. Garnish with chocolate jazzies. Bake at 180 degrees for 20-25 mins. 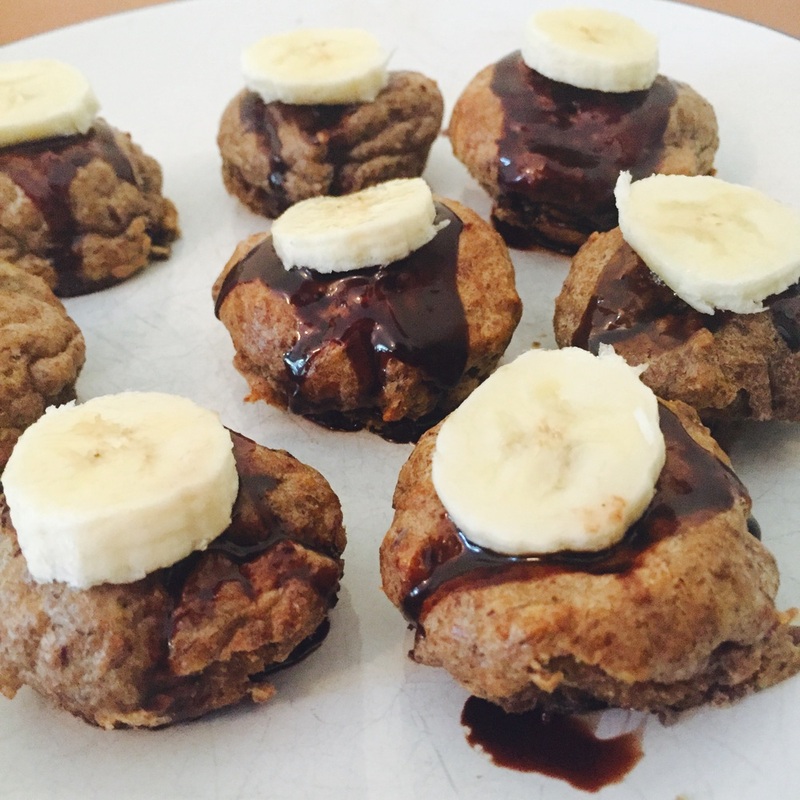 Top each muffin with 1/2 teaspoon of choc shot and a slice of banana. This is really quite easy to put together and they are really filling too. I quite enjoyed getting back in the baking game too! You may just see more ideas coming your way soon!